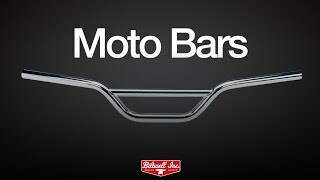 Hit the road and get some work done on your bike with a pair of Biltwell Moto Handlebars. The crossbar adds strength, rigidity and style in this street-bike spin on a classic off-road style motorcycle handlebar. 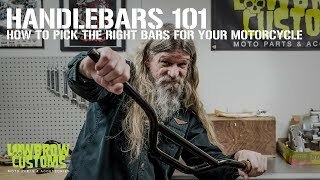 Moto bars are at home on your vintage motocross bike or street tracker alike. Awesome job lowbrow. Love the products and the service is top notch.